Mary Alice Crippen Claypool, a beloved and faithful member of Questing Heirs, died suddenly on July 25, 2004. She was born October 22, 1919 in Ontario, California, and grew up in the country near Corona. She married Donald Chal Claypool in 1946; he preceded her in death in 1982. In later years, she suffered from Alzheimer’s. 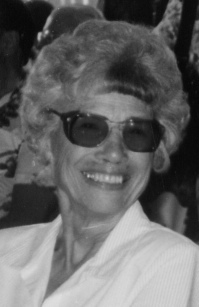 CLAYPOOL, Mary Alice (Crippen), 84, died suddenly on July 25, 2004. Born October 22, 1919 in Ontario, California, she grew up in the country near Corona and graduated from Corona High School in 1936. She married Donald Chal Claypool in 1946, he preceded her in death in 1982. A loving mother to her three children, Gale O’Brien, Gavin Claypool, Carol Letteriello. She loved and was proud of her only grandchild, Roseann O’Brien. After her children were grown, she worked as a teacher’s aide in Long Beach schools for almost 10 years, before retiring to Leisure World Seal Beach. Enthused about genealogy, she traveled far and wide to research her family’s ancestors and to attend reunions of their descendants. In later years she suffered from Alzheimer’s. Mary never asked for anything for herself. She leaves us a legacy of kindness and goodness. While traveling on a family vacation with her young children, she looked at the fields of dried grasses and said, “There is beauty even in death.” Services will be held July 28 at noon, Forest Lawn-Long Beach.